Lock in a great price for The Bedford Hotel - rated 9.3 by recent guests. Friendly and very helpful staff. Delicious meals in the residents` dining room, complete with sea view. 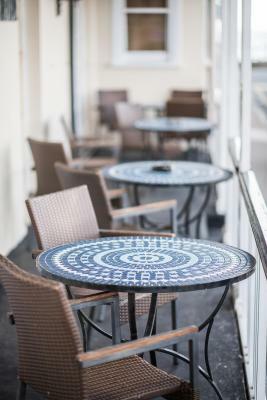 Ideal location by the promenade and fairly near town centre. We were lucky to have a place in the hotel car park. Breakfast was good with a mix of help yourself buffet and then order for hot breakfast items. Service was excellent from all staff we encountered. Room was spacious and spotless and we loved the balcony and view (helped by the glorious weather we had). Bed was comfortable and shower room was also very well thought out. Décor good too. The entire hotel was advertised as dog friendly, which was really useful for us. Even had the option to dine with our pooch in a separate area of the hotel. Right on the seafront, lovely views from the windows. Easy access in and out of the building. 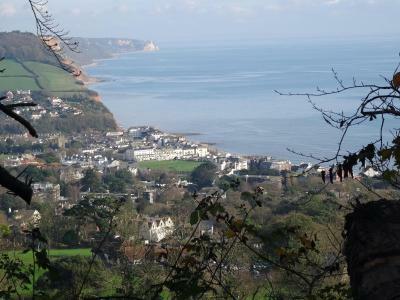 Good location for walking around Sidmouth. Great staff, lovely food in the Pynes Restaurant. Our room had a good view. The food was very good. The staff were very attentive and welcoming. Good care was taken of my medication which needs very careful handling. The hotel itself was in an perfect location, close to all the area has to offer, the room had a fantastic sea view, was spacious and clean. Tastefully decorated. The breakfasts with their homemade pastries were delicious. Plenty of fruit and choice of cereals were amazing. The table d’hote dinner of three courses was excellent value and included good vegetarian choices too. Friendly and efficient staff. Food delicious and well presented. Quiet hotel at night .Sea view from the dining room. Easy walking in the town. 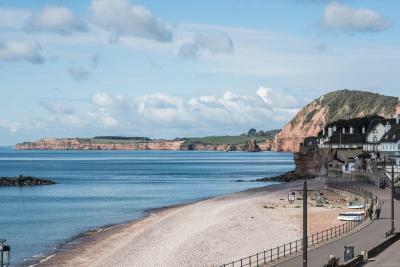 One of our top picks in Sidmouth.Set on Devon’s Jurassic Coast, The Bedford Hotel is located on Sidmouth’s seafront. 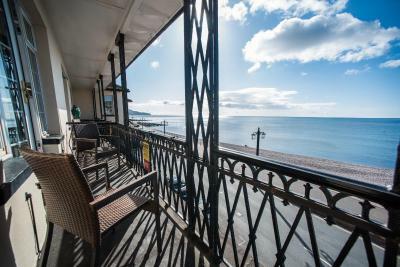 It has individually designed rooms with flat-screen TVs, limited free parking and a restaurant overlooking Lyme Bay. 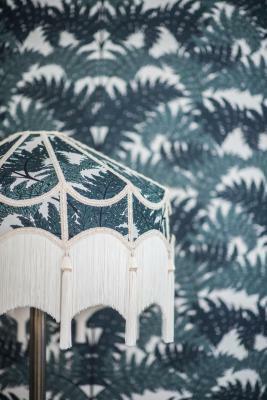 Rooms at the hotel are decorated in light shades and modern wallpaper. Rooms include hairdryers, tea/coffee-making facilities and many have panoramic sea views, some also have balconies. 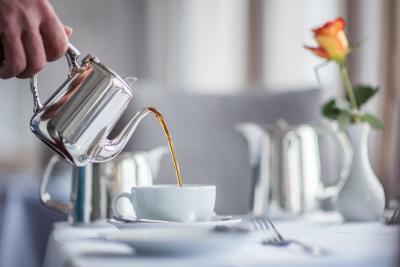 Cooked English breakfasts are served each morning in the dining room, whilst the restaurant offers an international table d’hote menu. Produce is sourced from the Devon area and roast dinners are available on Sundays. 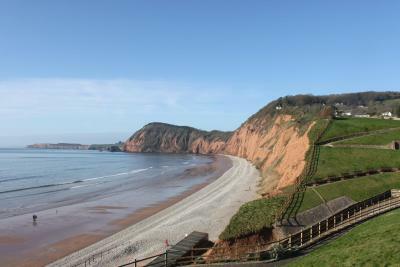 Sidmouth has miles of sandy beaches for guests to enjoy. Sidmouth Golf Course is a 10-minute walk from the hotel. 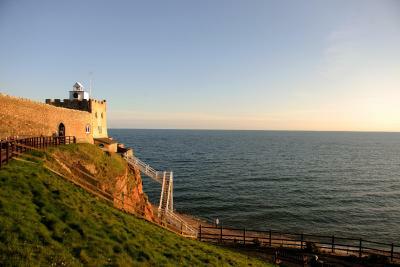 This property also has one of the best-rated locations in Sidmouth! Guests are happier about it compared to other properties in the area. This property is also rated for the best value in Sidmouth! Guests are getting more for their money when compared to other properties in this city. The Bedford Hotel has been welcoming Booking.com guests since 23 Mar 2011. 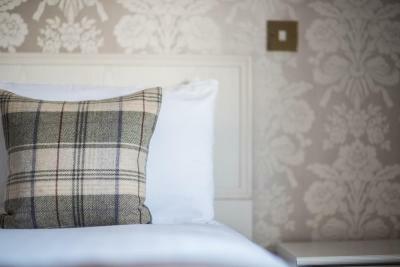 When would you like to stay at The Bedford Hotel? 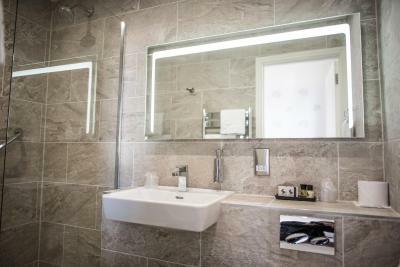 This room offers a TV and tea and coffee making facilities, along with an en suite bathroom. The room faces inland. Room with a balcony offering a sea view. Request double/twin when booking. With a front or side sea view, this room offers a TV and tea and coffee making facilities, along with an en suite bathroom. Room with a balcony offering a sea view. House rules The Bedford Hotel takes special requests - add in the next step! The Bedford Hotel accepts these cards and reserves the right to temporarily hold an amount prior to arrival. Limited free parking is on a first come, first served basis. There is a public car park opposite the hotel. Please inform The Bedford Hotel in advance of your expected arrival time. You can use the Special Requests box when booking, or contact the property directly with the contact details provided in your confirmation. Lift doors very heavy to manage for elderly and/or handicapped, though staff helped if they were around. A lot of walking to and from the table at breakfast time. Just a couple of minor niggles: as hotel was fully booked mainly by a coach tour we felt like the outsiders at breakfast as everyone else sat together and we felt a bit of an afterthought. Also it meant that if you weren't down at breakfast by 8 am there may not be any pastries / much fruit left! Found the shower (which was lovely) didn't empty as well as it could so leaked onto the main bathroom floor. The parking was advertised as "limited" on the website. Limited is an understatement, they have 4 spaces. Thats it. You have to hand over your keys to them if you do manage to nab a spot, but they accept no liability for any damage caused to the cars by them moving the cars around. I must stress they were very careful when moving the cars however! Even though the hotel was advertised as fully friendly to dogs, they did then charge an extra £7 a night for the dog. Our room was very noisy. With no air conditioning we needed to have the windows open and traffic, particularly motorbikes, were zooming about late into the night. Also groups of people shouting, or general noise. Unfortunately the mattress on our bed was too bouncy, so you could feel every movement made from your partner when trying to get comfortable. There are no baths only showers. 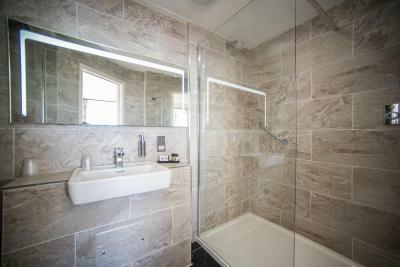 Extra non slip features are needed in the shower area. For example a nice long shower mat to cover the whole shower area, also more than one grab rail would be helpful. Lovely room with bay window and good view of the sea. Great location for walks and local shops. Very nice breakfast with good choice. Staff extremely friendly and helpful. Car Park is not large enough for all residents, and this should be clear in the publicity. On street parking free evenings and Sunday. Super friendly hotel with well equipped bedrooms. My room was excellent and the room was cleaned with attention to every detail . Staff were also very attentive to any request . Room 14a fantastic. Food, breakfast and dinner great. Staff faultless.